We have a gofundme! support us at our gofundme today! Get Involved Donate Today– as a way to honor our graduating seniors. Your donation directly supports future scholars, professionals and experts who in turn are readying themselves to give back to the community that supported them. Become a Volunteer– by tutoring, coming to the clubhouse to talk, teach a special class, or help with Clubhouse up-keep. Make a cash contribution via PayPal, or GoFundMe, or Contact Us to give a different way. As the saying goes, any amount will help to support Educate Youth. You can designate how you want the funds to be used, or you may make a no-strings-attached donation. The no-strings-attached option will allow the executive director to spend the money in the best interest of the organization. Create a fundraiser in our behalf, like a silent auction, food tasting, dinner, or concert; a community-based activity would be great for raising funds and good times. Bonus! We are now on AmazonSmile, which is a feature on Amazon.com that gives 0.5% (one half of one percent) of every purchase to a nonprofit of your choice. Here’s how to support us! 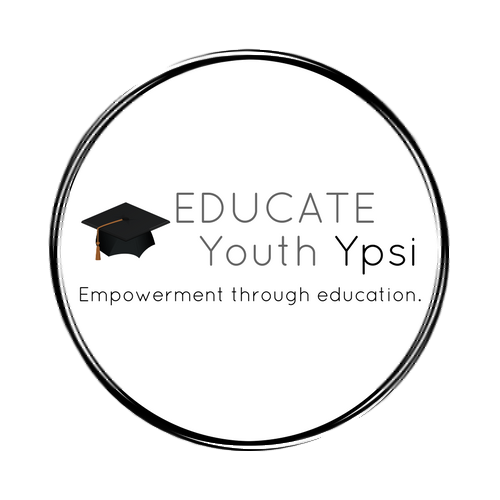 Next Entrepreneurs from Educate Youth Return to the Ypsilanti Farmers Market!